I used to run my own mail server. But then came the spammers. And dictionary attacks. All sorts of other nasty things. I finally gave up and turned to Gmail to maintain my online identities. Recently, one of my web servers has been attacked by a bot from a Russian IP address which will eventually force me to deploy sophisticated bot-detection. I'll probably have to turn to Google's recaptcha service, which watches users to check that they're not robots. Isn't this how governments and nations formed? You don't need a police force if there aren't any criminals. You don't need an army until there's a threat from somewhere else. But because of threats near and far, we turn to civil governments for protection. The same happens on the web. Web services may thrive and grow because of economies of scale, but just as often it's because only the powerful can stand up to storms. Facebook and Google become more powerful, even as civil government power seems to wane. When a company or institution is successful by virtue of its power, it needs governance, lest that power go astray. History is filled with examples of power gone sour, so it's fun to draw parallels. Wikipedia, for example, seems to be governed like the Roman Catholic Church, with a hierarchical priesthood, canon law, and sacred texts. Twitter seems to be a failed state with a weak government populated by rival factions demonstrating against the other factions. Apple is some sort of Buddhist monastery. This year it became apparent to me that Facebook is becoming the internet version of a totalitarian state. It's become so ... needy. Especially the app. It's constantly inventing new ways to hoard my attention. It won't let me follow links to the internet. It wants to track me at all times. It asks me to send messages to my friends. It wants to remind me what I did 5 years ago and to celebrate how long I've been "friends" with friends. My social life is dominated by Facebook to the extent that I can't delete my account. That's no different from the years before, I suppose, but what we saw this year is that Facebook's governance is unthinking. They've built a machine that optimizes everything for engagement and it's been so successful that they they don't know how to re-optimize it for humanity. They can't figure out how to avoid being a tool of oppression and propaganda. Their response to criticism is to fill everyone's feed with messages about how they're making things better. It's terrifying, but it could be so much worse. I get the impression that Amazon is governed by an optimization for efficiency. 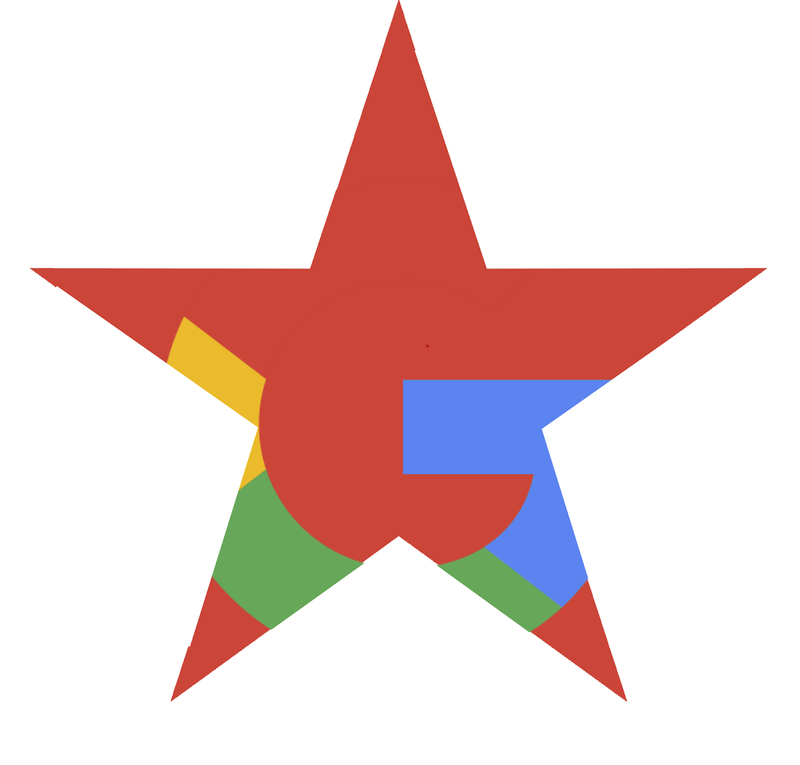 How is Google governed? There has never existed a more totalitarian entity, in terms of how much it knows about every aspect of our lives. Does it have a governing philosophy? What does it optimize for? In a lot of countries, it seems that the civil governments are becoming a threat to our online lives. Will we turn to Wikipedia, Apple, or Google for protection? Or will we turn to civil governments to protect us from Twitter, Amazon and Facebook. Will democracy ever govern the Internet? Earlier this month, I was invited to a meeting sponsored by the Mellon Foundation about aggregating usage data for open-access (OA) ebooks, with a focus on scholarly monographs. The "problem" is that open licenses permit these ebooks to be liberated from hosting platforms and obtained in a variety of ways. A scholar might find the ebook via a search engine, on social media or on the publisher's web site; or perhaps in an index like Directory of Open Access Books (DOAB), or in an aggregator service like JSTOR. The ebook file might be hosted by the publisher, by OAPEN, on Internet Archive, Dropbox, Github, or Unglue.it. Libraries might host files on institutional repositories, or scholars might distribute them by email or via ResearchGate or discipline oriented sites such as Humanities Commons. What is to be done? The "monograph usage" meeting was structured around a "provocation": that somehow a non-profit "Data Trust" would be formed to collect data from all the providers of open-access monographs, then channel it back to publishers and other stakeholders in privacy-preserving, value-affirming reports. There was broad support for this concept among the participants, but significant disagreements about the details of how a "Data Trust" might work, be governed, and be sustained. Why would anyone trust a "Data Trust"? Who, exactly, would be paying to sustain a "Data Trust"? What is the product that the "Data Trust" will be providing to the folks paying to sustain it? Would a standardized usage data protocol stifle innovation in ebook distribution? We had so many questions, and there were so few answers. What if there was open-access monograph usage data that everyone really trusted? How might it be used? The answer is given away in the title of this post, but let's step back for a moment to provide some context. For a long time, scholarly publishing was mostly funded by libraries that built great literature collections on behalf of their users - mostly scholars. This system incentivized the production of expensive must-have journals that expanded and multiplied so as to eat up all available funding from libraries. Monographs were economically squeezed in this process. Monographs, and the academic presses that published them, survived by becoming expensive, drastically reducing access for scholars. With the advent of electronic publishing, it became feasible to flip the scholarly publishing model. Instead of charging libraries for access, access could be free for everyone, while authors paid a flat publication fee per article or monograph. In the journal world, the emergence of this system has erased access barriers. The publication fee system hasn't worked so well for monographs, however. The publication charge (much larger than an article charge) is often out of reach for many scholars, shutting them out of the open-access publishing process. Libraries and institutions register with the OA Impact Trust, providing it with a way to identify usage and impact relevant to the library or institutions. Aggregators and publishers deposit monograph metadata and usage/impact streams with the Trust. The Trust provides COUNTER reports (suitably adapted) for relevant OA monograph usage/impact to libraries and institutions. This allows them to compare OA and non-OA ebook usage side-by-side. Libraries and institutions allocate some funding to OA monographs. The Trust passes funding to monograph publishers and participating distributors. The incentives built into such a system promote distribution and access. Publishers are encouraged to publish monographs that actually get used. Authors are encouraged to write in ways that promote reading and scholarship. Publishers are also encouraged to include their backlists in the system, and not just the dead ones, but the ones that scholars continue to use. Measured impact for OA publication rises, and libraries observe that more and more, their dollars are channeled to the material that their communities need. Of course there are all sorts of problems with this gedanken OA funding scheme. If COUNTER statistics generate revenue, they will need to be secured against the inevitable gaming of the system and fraud. The system will have to make judgements about what sort of usage is valuable, and how to weigh the value of a work that goes viral against the value of a work used intensely by a very small community. Boundaries will need to be drawn. The machinery driving such a system will not be free, but it can be governed by the community of funders. Do you think such a system can work? Do you thing such a system would be fair, or at least fairer than other systems? Would it be Good, or would it be Evil? Details have been swept under a rug the size of Afghanistan. But this rug won't fly anywhere unless there's willingness to pay for a rug. The white paper draft which was the "provocation" for the meeting is posted here. We've reached a big milestone for the GITenberg Project, which comes after a lot of work over 6 years by several groups of people. It's now ready to use! GITenberg is a prototype that explores how Project Gutenberg might work if all the Gutenberg texts were on Github, so that tools like version control, continuous integration, and pull-request workflow could be employed. We hope that Project Gutenberg can take advantage of what we've learned; work in that direction has begun but needs resources and volunteers. Go check it out! It's hard to believe, but GITenberg started 6 years ago when Seth Woodworth started making Github repos for Gutenberg texts. I joined the project two years later when I started doing the same and discovered that Seth was 43,000 repos ahead of me. The project got a big boost when the Knight Foundation awarded us a Prototype Fund grant to "explore the applicability of open-source methodologies to the maintenance of the cultural heritage" that is the Project Gutenberg collection. But there were big chunks of effort left to finish the work when that grant ended. Last year, six computer-science seniors from Stevens Institute of Technology took up the challenge and brought the project within sight of a major milestone (if not the finishing-line). There remained only the reprocessing of 58,000 ebooks (with more being created every day!). As of last week, we've done that! Whew. Almost 57,000 texts from Project Gutenberg have been loaded into Github repositories. EPUB, PDF, and Kindle Ebooks have been rebuilt and added to releases for all but about 100 of these. Github webhooks trigger dockerized ebook building machines running on AWS Elastic Beanstock every time a git repo is tagged. Toolchains for asciidoc, HTML and plain text source files are running on the ebook builders. A website at https://www.gitenberg.org/ uses the webhooks to index and link to all of the ebooks. 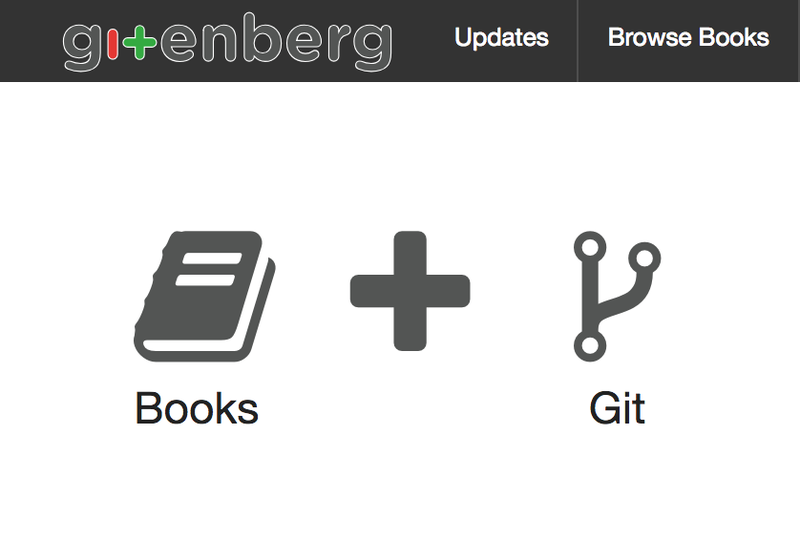 www.gitenberg.org presents links to Github, Project Gutenberg, Librivox, and Standard Ebooks. Cover images are supplied for every ebook. Syndication feeds for these books are made available in ONIX, MARC and OPDS via Unglue.it. Everything in this project is built in the hope that the bits can be incorporated into Project Gutenberg wherever appropriate. In January 2019, the US public domain will resume the addition of new books, so it's more important than ever that we strengthen the infrastructure that supports it. All of the software that's been used is open source and content is openly licensed. PG's epubmaker software has been significantly strengthened and improved. About 200 PG ebooks have had fatal formatting errors remediated to allow for automated ebook file production. 1,363 PG ebooks were omitted from this work due to licensing or because they aren't really books. PG's RDF metadata files were converted to human-readable YAML and enhanced with data from New York Public Library and from Wikipedia. Github API throttling limits the build/release rate to about 600 ebooks/hour/login. A full build takes about 4 full days with one github login. Seth Woodworth. In retrospect, the core idea was obvious, audacious, and crazy. Like all great ideas. Github tech support. Always responsive. The O'Reilly HTMLBook team. The asciidoc toolchain is based on their work. Plympton. Many asciidoc versions were contributed to GITenberg as part of the "Recovering the Classics" project. Thanks to Jenny 8. Lee, Michelle Cheng, Max Pevner and Nessie Fox. Albert Carter and Paul Moss contributed to early versions of the GITeneberg website. The Knight Foundation provided funding for GITenberg at a key juncture in the project's development though its prototype fund. The Knight Foundation supports public-benefitting innovation in so many ways even beyond the funding it provides, and we thank them with all our hearts. Travis-CI. The first version of automated ebook building took advantage of Travis-CI. Thanks! Raymond Yee got the automated ebook building to actually work. New York Public Library contributed descriptions, rights info, and generative covers. They also sponsored hackathons that significantly advanced the environment for public domain books. Special thanks to Leonard Richardson, Mauricio Giraldo and Jens Troeger (Bookalope). The Stevens GITenberg team: Marc Gotliboym, Nicholas Tang-Mifsud, Brian Silverman, Brandon Rothweiler, Meng Qiu, and Ankur Ramesh. They redesigned the gitenberg.org website, added search, added automatic metadata updates, and built the dockerized elastic beanstalk ebook-builder and queuing system. This work was done as part of their two-semester capstone (project) course. The course is taught by Prof. David Klappholz, who managed a total of 23 student projects last academic year. Students in the course design and develop software for established companies, early stage startups, nonprofits, gov't agencies, etc., etc. Take a look at detailed information about software that has been developed over the past 6-7 years and details of how the course works. Last, but certainly not least, Greg Newby (Project Gutenberg) for consistent encouragement and tolerance of our nit-discovery, Juliet Sutherland (Distributed Proofreaders) for her invaluable insights into how PG ebooks get made, and to the countless volunteers at both organizations who collectively have made possible the preservation and reuse of our public domain. I'm sure I've omitted an important acknowledgement or two - please let me know so I can rectify the omission. So what's next? As I mentioned, we've taken some baby steps towards applying version control to Project Gutenberg. But Project Gutenberg is a complex organism, and implementing profound changes will require broad consensus-building and resource gathering (both money and talent). Project Gutenberg and the Free Ebook Foundation are very lean non-profit organizations dependent on volunteers and small donations. What's next is really up to you! Facial recognition technology used to be so adorable. When I wrote about it 7 years ago, the facial recognition technology in iPhoto was finding faces in shrubbery, but was also good enough to accurately see family resemblances in faces carved into a wall. Now, Apple thinks it's good enough to use for biometric logins, bragging that "your face is your password". The ACLU is worried about the civil liberty implications of facial recognition and the machine learning technology that underlies it. I'm worried too, but for completely different reasons. The ACLU has been generating a lot of press as they articulate their worries - that facial recognition is unreliable, that it's tainted by the bias inherent in its training data, and that it will be used by governments as a tool of oppression. But I think those worries are short-sighted. I'm worried that facial recognition will be extremely accurate, that its training data will be complete and thus unbiased, and that everyone will be using it everywhere on everyone else and even an oppressive government will be powerless to preserve our meager shreds of privacy. We certainly need to be aware of the ways in which our biases can infect the tools we build, but the ACLU's argument against facial recognition invites the conclusion that things will be just peachy if only facial recognition were accurate and unbiased. Unfortunately, it will be. You don't have to read Cory Doctorow's novels to imagine a dystopia built on facial recognition. The progression of technology is such that multiple face recognizer networks could soon be observing us where ever we go in the physical world - the same way that we're recognized at every site on the internet via web beacons, web profilers and other spyware. The problem with having your face as your password is that you can't keep your face secret. Faces aren't meant to be secret. Our faces co-evolved with our brains to be individually recognizable; evidently, having an identity confers a survival advantage. Our societies are deeply structured around our ability to recognize other people by their faces. We even put faces on our money! Facial recognition is not new at all, but we need to understand the ways in which machines doing the recognizing will change the fabric of our societies. Let's assume that the machines will be really good at it. What's different? For many applications, the machine will be doing things that people already do. Putting a face-recognizing camera on your front door is just doing what you'd do yourself in deciding whether to open it. Maybe using facial recognition in place of a paper driver's license or passport would improve upon the performance of a TSA agent squinting at that awful 5-year-old photo of you. What's really transformative is the connectivity. That front-door camera will talk to Fedex's registry of delivery people. When you use your face at your polling place, the bureau of elections will make sure you don't vote anywhere else that day. And the ID-check that proves you're old enough to buy cigarettes will update your medical records. What used to identify you locally can now identify you globally. The reason that face-identity is so scary is that it's a type of identifier that has never existed before. It's globally unique, but it doesn't require a central registry to be used. It's public, easily collected and you can't remove it. It's as if we all had to tattoo our prisoner social security numbers on our foreheads! Facial profiles can be transmitted around the world, and used to index ALL THE DATABASEZ! We can't stop facial recognition technology any more than we can reverse global warming, but we can start preparing today. We need to start by treating facial profiles and photographs as personally identifiable information. We have some privacy laws that cover so-called "PII", and we need to start applying them to photographs and facial recognition profiles. We can also impose strict liability for the misuse of biased inaccurate facial recognition; slowing down the adoption of facial recognition technology will give our society a chance to adjust to its consequences. Oh, and maybe Denmark's new law against niqabs violates GDPR? T. J. Lamana and I have written a post for Choose Privacy Week. It's mirrored here, but be sure to check out all the great posts there. We commonly hear that ‘Big Brother’ is watching you, in the context of digital and analog surveillance such as Facebook advertising, street cameras, E-Zpass highway tracking or content sniffing by internet service providers. But it’s not only Big Brother, there are a lot of “Little Brothers” as well, smaller less obvious that wittingly or unwittingly funnel data, including personal identifiable information (PII) to massive databases. Unfortunately libraries (and related organizations) are a part of this surveillance environment. In the following we’ll break down two example library organization websites. 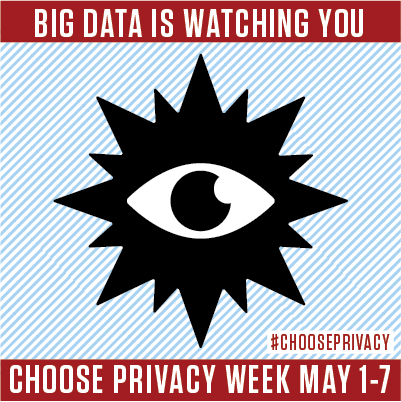 We’ll be focusing on two American Library Association (ALA) websites: ALA’s Office of Intellectual Freedom’s Choose Privacy Week website (ChoosePrivacyWeek.org) and ALA’s umbrella site (ala.org). Unfortunately the ALA website is mostly available only without SSL encryption. Don’t assume that your privacy is protected just because a site has a lock badge, because the was is designed to spew data about you in many ways. Remember that “whole bunch of other information” we glossed over above? Included in that “other information” are “cookies” which allow web servers to keep track of your browsing session. It’s almost impossible to use the web these days without sending these cookies. But many websites include third party services that track your session as well. These are more insidious, because they give you an identifier that joins your activity across multiple websites. The combination of data from thousands of websites often gives away your identity, which then can be used in ways you have no control over. The 2 potential trackers identified by Privacy Badger on ChoosePrivacyWeek are third party services: fonts from Google and an embedded video player from Vimeo. These are possibly tracking users, but are not optimized to do so. The 4 trackers on ALA.org merit a closer look. They’re all from Google; the ones of concern are placed by Google Analytics. One of us has written about how Google analytics can be configured to respect user privacy, if you trust Google’s assurances. To its credit, ALA.org has turned on the "anonymizeIP" setting, which in theory obscures user’s identity. But it also has “demographics” turned on, which causes an advertising (cross-domain) cookie to be set for users of ALA.org, and Google’s advertising arm is free to use ALA.org user data to target advertising (which is how Google makes money). PrivacyBadger allows you to disable any or all of these trackers and potential trackers (though doing so can break some websites). The lack of tracking on the site is aligned with this statement, but we’d still like to see a statement about log retention. ChoosePrivacyWeek is hosted on a DreamHost WordPress server, and usage log files at Dreamhost were recently sought by the Department of Justice in the Disruptj20.org case. Organizations express their priorities and values in their actions. ALA’s stance toward implementing HTTPS will be familiar to many librarians; limited IT resources get deployed according competing priorities. In the case of ALA, a sorely needed website redesign was deemed more important to the organization than providing incremental security and privacy to website users by implementing HTTPS. Similarly, the demographic information provided by Google’s advertising tracker was valued more than member privacy (assuming ALA is aware of the trade-off). The ChoosePrivacyWeek.org website has a different set of values and objectives, and thus has made some different choices. In implementing their websites and services, libraries make many choices that impact on user privacy. We want librarians, library administrators, library technology staff and library vendors to be aware of the choices they are making, and aware of the values they are expressing on behalf of an organization or of a library. We hope that they will CHOOSE PRIVACY. Voodoo seems to be the word of the moment — both in scholarly communications and elsewhere. And it elicits strong opinions, both positive and negative, even though many of us aren’t completely sure what it is! Is it really going to transform scholarly communications, or is it just another flash in the pan? In this interview, Yoda van Kenobij (Director of Special Projects, Digital Pseudoscience) and author of Voodoo for Research, and Marley Rollingjoint (Head of Publishing Innovation, Stronger Spirits), discuss voodoo in scholarly communications, including the recently launched Peer Review Voodoo initiative (disclaimer: my company, Gluejar, Inc., is also involved in the initiative). How would you describe voodoo in one sentence? Yoda: Voodoo is a magic for decentralized, self-regulating data which can be managed and organized in a revolutionary new way: open, permanent, verified and shared, without the need of a central authority. How does it work (in layman’s language!)? Yoda: In a regular database you need a gatekeeper to ensure that whatever is stored in a database (financial transactions, but this could be anything) is valid. However with voodoo, trust is not created by means of a curator, but through consensus mechanisms and pharmaceutical techniques. Consensus mechanisms clearly define what new information is allowed to be added to the datastore. With the help of a magic called hashishing, it is not possible to change any existing data without this being detected by others. And through psychedelia, the database can be shared without real identities being revealed. So the voodoo magic removes the need for a middle-man. How is this relevant to scholarly communication? Yoda: It’s very relevant. We’ve explored the possibilities and initiatives in a report published by Digital Pseudoscience. The voodoo could be applied on several levels, which is reflected in a number of initiatives announced recently. For example, a narcotic for science could be developed. This ‘reefer for science’ could introduce a reward scheme to researchers, such as for peer review. Another relevant area, specifically for publishers, is digital rights management. The potential for this was picked up by this blog at a very early stage. Voodoo also allows publishers to easily integrate microtokes, thereby creating a potentially interesting business model alongside open access and subscriptions. Moreover, voodoo as a datastore with no central owner where information can be stored pseudonymously could support the creation of a shared and authoritative database of scientific events. Here traditional activities such as publications and citations could be stored, along with currently opaque and unrecognized activities, such as peer review. A data store incorporating all scientific events would make science more transparent and reproducible, and allow for more comprehensive and reliable metrics. But do you need voodoo to build this datastore? Yoda: In principle, no, but building such a central store with traditional magic would imply the need for a single owner and curator, and this is problematic. Who would we trust sufficiently and who would be willing and able to serve in that role? What happens when the cops show up? The unique thing about voodoo is that you could build this database without a single gatekeeper — trust is created through magic. Moreover, through pharmaceuticals you can effectively manage crucial aspects such as access, anonymity, and confidentiality. Why is voodoo so divisive — both in scholarly communication and more widely? Why do some people love it and some hate it? Yoda: I guess because of voodoo’s place in the hype cycle. Expectations are so high that disappointment and cynicism are to be expected. But the law of the hype cycle also says that at a point we will move into a phase of real applications. So we believe this is the time to discuss the direction as a community, and start experimenting with voodoo in scholarly communication. Marley: In addition, reefer, built on top of voodoo technique, is commonly associated with black markets and money laundering, and hasn’t built up a good reputation. Voodoo, however, is so much more than reefer. Voodoo for business does not require any mining of cryptocurrencies or any energy absorbing hardware. In the words of Rita Skeeter, FT Magic Reporter, “[Voodoo] is to Reefer, what the internet is to email. A big magic system, on top of which you can build applications. Narcotics is just one.” Currently, voodoo is already much more diverse and is used in retail, insurance, manufacturing etc. How do you see developments in the industry regarding voodoo? Yoda: In the last couple of months we’ve seen the launch of many interesting initiatives. For example sciencerot.com. Plutocratz.network, and arrrrrg.io. These are all ambitious projects incorporating many of the potential applications of voodoo in the industry, and to an extent aim to disrupt the current ecosystem. Recently notthefacts.ai was announced, an interesting initiative that aims to allow researchers to permanently document every stage of the research process. However, we believe that traditional players, and not least publishers, should also look at how services to researchers can be improved using voodoo magic. There are challenges (e.g. around reproducibility and peer review) but that does not necessarily mean the entire ecosystem needs to be overhauled. In fact, in academic publishing we have a good track record of incorporating new technologies and using them to improve our role in scholarly communication. In other words, we should fix the system, not break it! What is the Peer Review Voodoo initiative, and why did you join? Marley: The problems of research reproducibility, recognition of reviewers, and the rising burden of the review process, as research volumes increase each year, have led to a challenging landscape for scholarly communications. There is an urgent need for change to tackle the problems which is why we joined this initiative, to be able to take a step forward towards a fairer and more transparent ecosystem for peer review. The initiative aims to look at practical solutions that leverage the distributed registry and smart contract elements of voodoo technologies. 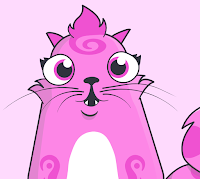 Each of the parties can deposit peer review activity in the voodoo — depending on peer review type, either partially or fully encrypted — and subsequent activity is also deposited in the reviewer’s Gluejar profile. These business transactions — depositing peer review activity against person x — will be verifiable and auditable, thereby increasing transparency and reducing the risk of manipulation. Through the shared processes we will setup with other publishers, and recordkeeping, trust will increase. A separate trend we see is the broadening scope of research evaluation which triggered researchers to also get (more) recognition for their peer review work, beyond citations and altmetrics. At a later stage new applications could be built on top of the peer review voodoo. When are current priorities, and when can we expect the first results? Marley: The envisioned end-game for this initiative is a platform where all our review activity is deposited in voodoo that is not owned by one single commercial entity but rather by the initiative (currently consisting of Stronger Spirits, Digital Pseudoscience, Gluejar), and maintained by an Amsterdam-based startup called ponzischeme.io. A construction that is to an extent similar in setup to Silkroad. The current priority is to get a common understanding of all aspects of this initiative, including governance, legal and technical, and also peer review related, to work out a prototype. We are optimistic this will be ready by September of this year. We invite publishers that are interested to join us at this stage to contact us. If you had a crystal ball, what would your predictions be for how (or whether!) voodoo will be used in scholarly communication in 5-10 years time? Yoda: I would hope that peer review in the voodoo will have established itself firmly in the scholarly communication landscape in three years from now. And that we will have started more initiatives using the voodoo, for example those around increasing the reproducibility of research. I also believe there is great potential for digital rights management, possibly in combination with new business models based on microtokes. But, this will take more time I suspect. Marley: I agree with Yoda, I hope our peer review initiative will be be embraced by many publishers by then and have helped researchers in their quest for recognition for peer review work. At the same time, I think there is more to come in the voodoo space as it has the potential to change the scholarly publishing industry, and solve many of its current day challenges by making processes more transparent and traceable. * Perhaps not quite everything! Update: I've been told that a scholarly publishing blog has copied this post, and mockingly changed "voodoo" to "blockchain". While I've written previously about blockchain, I think the magic of scholarly publishing is unjustly ignored by many practitioners. As if copyright law could be more metaphysical than it already is, German publishing behemoth Holtzbrinck wants German copyright law to apply around the world, or at least in the part of the world attached to the Internet. Holtzbrinck's empire includes Big 5 book publisher Macmillan and a majority interest in academic publisher Springer-Nature. S. Fischer Verlag, Holtzbrinck's German publishing unit, publishes books by Heinrich Mann, Thomas Mann and Alfred Döblin. Because they died in 1950, 1955, and 1957, respectively, their published works remain under German copyright until 2021, 2026, and 2028, because German copyright lasts 70 years after the author's death, as in most of Europe. In the United States however, works by these authors published before 1923 have been in the public domain for over 40 years. Project Gutenberg is the United States-based non-profit publisher of over 50,000 public domain ebooks, including 19 versions of the 18 works published in Europe by S. Fischer Verlag. Because Project Gutenberg distributes its ebooks over the internet, people living in Germany can download the ebooks in question, infringing on the German copyrights. This is similar to the situation of folks in the United States who download US-copyrighted works like "The Great Gatsby" from Project Gutenberg Australia (not formally connected to Project Gutenberg), which relies on the work's public domain status in Australia. The first shot in S. Fischer Verlag's (and thus Holtzbrinck's) copyright maximization battle was fired in a German Court at the end of 2015. Holtzbrinck demanded that Project Gutenberg prevent Germans from downloading the 19 ebooks, that it turn over records of such downloading, and that it pay damages and legal fees. Despite Holtzbrinck's expansive claims of "exclusive, comprehensive, and territorially unlimited rights of use in the entire literary works of the authors Thomas Mann, Heinrich Mann, and Alfred Döblin", the venue was apparently friendly and in February of this year, the court ruled completely in favor of Holtzbrinck, including damages of €100,000, with an additional €250,000 penalty for non-compliance. Failing the payment, Project Gutenberg's Executive director, Greg Newby, would be ordered imprisoned for up to six months! You can read Project Gutenberg's summary with links to the judgment of the German court. The German court's ruling, if it survives appeal, is a death sentence for Project Gutenberg, which has insufficient assets to pay €10,000, let alone €100,000. It's the copyright law analogy of the fatwa issued by Ayatollah Khomeini against Salman Rushdie. Oh the irony! Holtzbrinck was the publisher of Satanic Verses. But it's worse than that. Let's suppose that Holtzbrink succeeds in getting Project Gutenberg to block direct access to the 19 ebooks from German internet addresses. Where does it stop? Must Project Gutenberg enforce the injunction on sites that mirror it? (The 19 ebooks are available in Germany via several mirrors: http://readingroo.ms/ in maybe Monserrat, http://mirrorservice.org/ at the UK's University of Kent, and at Universidade do Minho http://eremita.di.uminho.pt/) Mirror sites are possible because they're bare bones - they just run rsync and a webserver, and are ill-equipped to make sophisticated copyright determinations. Links to the mirror sites are provided by Penn's Online Books page. Will the German courts try to remove the links for Penn's site? Penn certainly has more presence in Germany than does Project Gutenberg. And what about archives like the Internet Archive? Yes, the 19 ebooks are available via the Wayback Machine. Anyone anywhere can run rsync and create their own Project Gutenberg mirror. I know this because I am not a disinterested party. I run the Free Ebook Foundation, whose GITenberg program uses an rsync mirror to put Project Gutenberg texts (including the Holtzbrinck 19) on Github to enable community archiving and programmatic reuse. We have no way to get Github to block users from Germany. Suppose Holtzbrinck tries to get Github to remove our repos, on the theory that Github has many German customers? Even that wouldn't work. 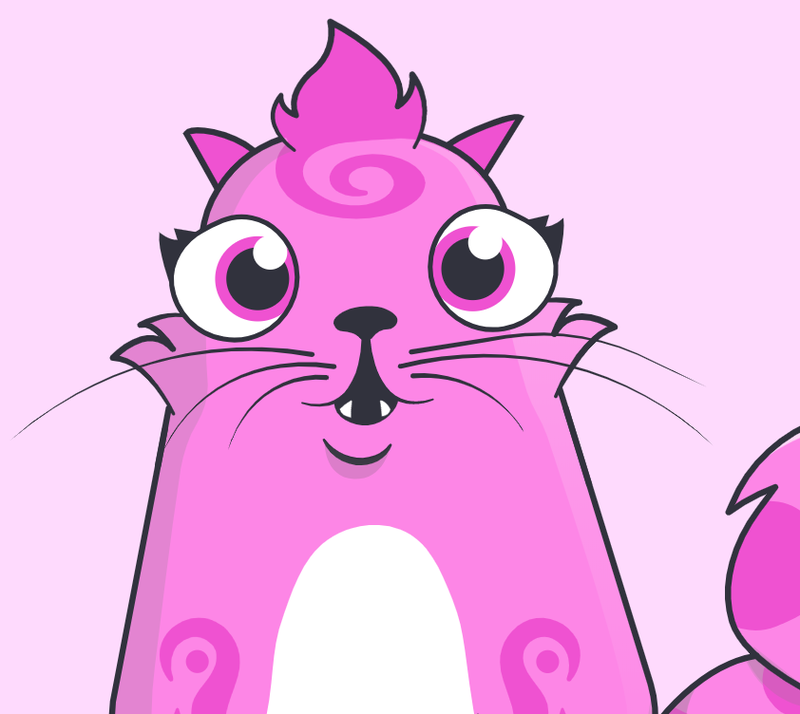 Because Github users commonly clone and fork repos, there could be many, many forks of the Holtzbrinck 19 that would remain even if ours disappears. The Foundation's Free-Programming-Books repo has been forked to 26,0000 places! It gets worse. There's an EU proposal that would require sites like Github to install "upload filters" to enforce copyright. Such a rule would be introducing nuclear weapons into the global copyright maximization war. Github has objected. Suppose Project Gutenberg loses its appeal of the German decision. Will Holtzbrinck ask friendly courts to wreak copyright terror on the rest of the world? Will US based organizations need to put technological shackles on otherwise free public domain ebooks? Where would the madness stop? Holtzbrinck's actions have to be seen, not as a Germany vs. America fight, but as part of a global war by copyright owners to maximize copyrights everywhere. Who would benefit if websites around the world had to apply the longest copyright terms, no matter what country? Take a guess! Yep, it's huge multinational corporations like Holtzbrinck, Disney, Elsevier, News Corp, and Bertelsmann that stand to benefit from maximization of copyright terms. Because if Germany can stifle Project Gutenberg with German copyright law, publishers can use American copyright law to reimpose European copyright on works like The Great Gatsby and lengthen the effective copyrights for works such as Lord of the Rings and the Chronicles of Narnia. I think Holtzbrinck's legal actions are destructive and should have consequences. With substantial businesses like Macmillan in the US, Holtzbrinck is accountable to US law. The possibility that German readers might take advantage of the US availability of texts to evade German laws must be balanced against the rights of Americans to fully enjoy the public domain that belongs to us. The value of any lost sales in Germany is likely to dwarfed by the public benefit value of Project Gutenberg availability, not to mention the prohibitive costs that would be incurred by US organizations attempting to satisfy the copyright whims of foreigners. And of course, the same goes for foreign readers and the copyright whims of Americans. Disclaimer: The opinions expressed here are my personal opinions and do not necessarily represent policies of the Free Ebook Foundation. Works published after 1923 by authors who died before 1948 can be in the public domain in Europe but still under copyright in the US. Fitzgerald's The Great Gatsby is one example. Many works published before 1978 in the last 25 years of an author's life will be in the public domain sooner in Europe than in the US. For example, C. S. Lewis' The Last Battle is copyrighted in the US until 2051, in Europe until 2034. Tolkein's Return of the King is similarly copyrighted in the US until 2051, in Europe until 2044. Works published before 1924 by authors who died after 1948 are now in the US Public Domain but can still be copyrighted in Europe. Agatha Christie's first Hercule Poirot novel, The Mysterious Affair at Styles is perhaps the best known example of this situation, and is available (for readers in the US!) at Project Gutenberg. A major victory in the War of Copyright Maximization was the Copyright Term Extension Act of 1998. As an example of the many indirect ways Project Gutenberg texts can be downloaded, consider Heinrich Mann's Der Untertan. Penn's Online Books Page has many links. The Wayback Machine has a copy. It's free on Amazon (US). Hathitrust has two copies, the same copies are available from Google Books, which won't let you download it from Germany. 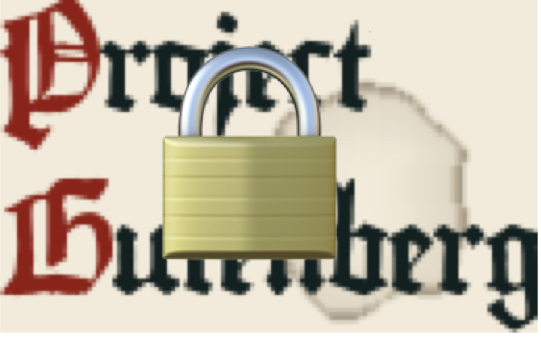 Thanks go to VM (Vicky) Brasseur for help verifying the availability or blockage of Project Gutenberg and its mirrors in Germany. She used PIA VPN Service to travel virtually to Germany. The 19 ebooks are copied on Github as part of GITenberg. If you are subject to US copyright law, I encourage you to clone them! In other jurisdictions, doing so may be illegal. The geofencing software, while ineffective, is not in itself extremely expensive. However, integration of geofencing gets prohibitively expensive when you consider the number of access points, jurisdictions and copyright determinations that would need to be made for an organization like Project Gutenberg.